This photo essay is trying to portray the many different sides of femininity and how our current media culture tries to “undo” it or challenge the stereotypes of femininity. This photo from Vogue challenges the everyday stereotype of what a feminine women should look like. It takes a step towards androgyny and undoes the typical woman you would see in a magazine. 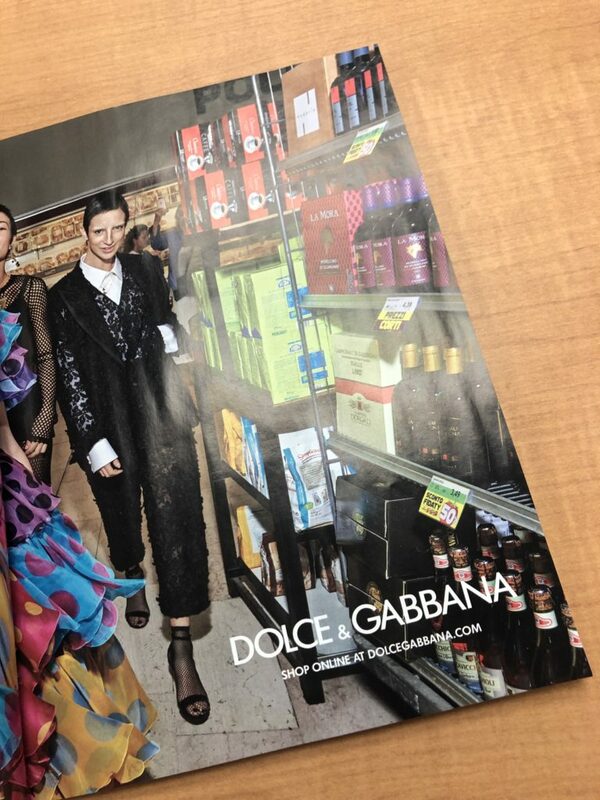 Something specifically interesting is that it takes this definition of a woman and puts the photo in as simple of a place such as a grocery store so as to say that women can express whatever they want to be, at any time, in any place. 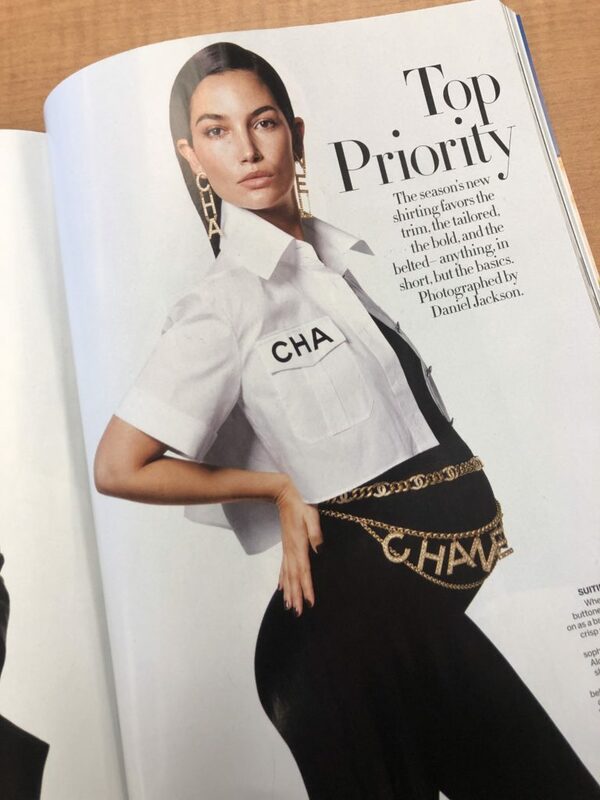 This photo from Vogue I think is taking a step towards intersectionality with addressing both feminine stereotypes and racial stereotypes. I like that it takes on a soft typical feminine look in dress but puts it on a woman with tattoos and short hair- someone not typically considered “soft”. It also takes a step towards undoing the racial stereotype of the angry black woman. This picture portrays a loving mother holding her child while also being beautiful and strong as a woman, not just a mother. This Vogue photo is undoing gender in a way of taking the delicacy out of pregnancy. It’s allowing pregnant mothers to reclaim the feeling of sexiness and being desired. It’s also allowing these soon-to-be mothers to reclaim fashion and not be advertised only “mom jeans” or stretchy maternity wear. This undoes the idea that women are fragile and that once they get pregnant or become mothers that’s all they can be. 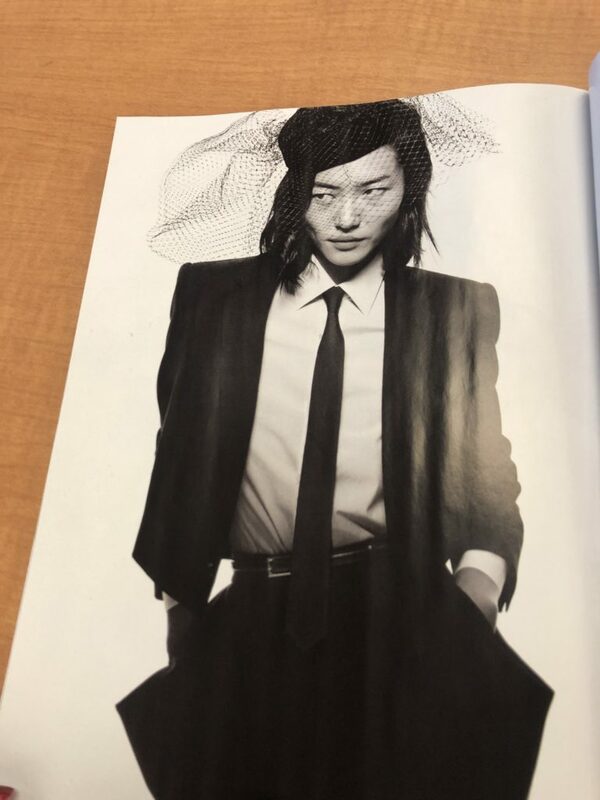 This model from Vogue is, again, taking a more androgynous fashion approach. This undoes gender in the sense that women are able to wear “power suits” and take the lead like a man would. Women are also able to make men’s fashion their own and still beautiful. I like this image because the model is able to give off a feeling of mystery and power in this outfit that normally women would not feel able to accomplish. 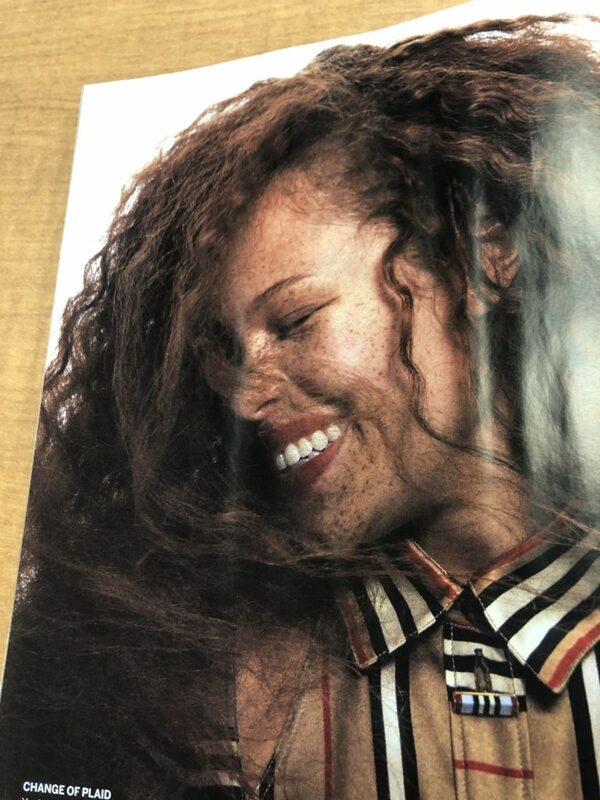 This finally image from Vogue takes a look at undoing gender and race again. It specifically portrays a happy woman who feels confident in her skin and who she is. This helps to undo the stereotype of women being insecure with their natural looks and helps again to undo the angry black woman stereotype. This is a great analysis! You made some great points and observations. I don’t read a lot of Vogue, but I am happy to see that they are un-doing gender so much! This is definitely a step in the right direction. I also like that you took race into consideration as well. I love these photos and your analysis on them!! You took everything into consideration and, honestly, a lot of it would have went over my head had you not pointed it out. Paying attention to the location in the first photo or the tattoos in the second and so on really adds to the meaning of the photos. Your explanations of those meanings were wonderful, as well. Thank you! I tried to go into detail about all the small aspects of the photos that made them have even more of a significant meaning to me. I love this photo essay! It’s different from the norm and challenges stereotypes. 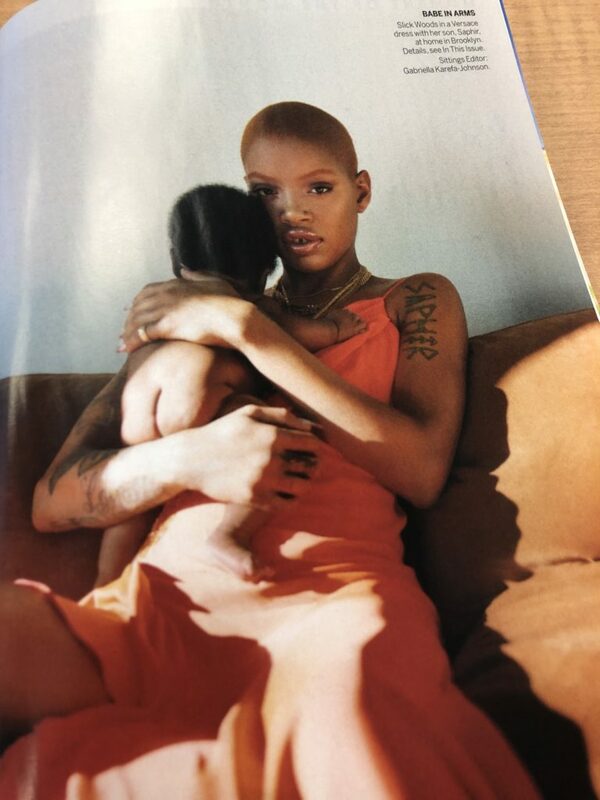 I love the one with supermodel Slick Woods! You explained how she challenged femininity with her tattoos but also how the photo highlights her femininity with the use of her child and showing her in a nurturing manner. I love that your photos break the norm and challenge our ideologies in a beautiful, fashionable manner. Thank you! It was fun finding the little things that made it a more significant portrayal of gender.